Happy Halloween...week? Because the haunted holiday takes place on Hump Day this year, celebrities and normies alike have the opportunity to go a little wild with our costumes for days on end. 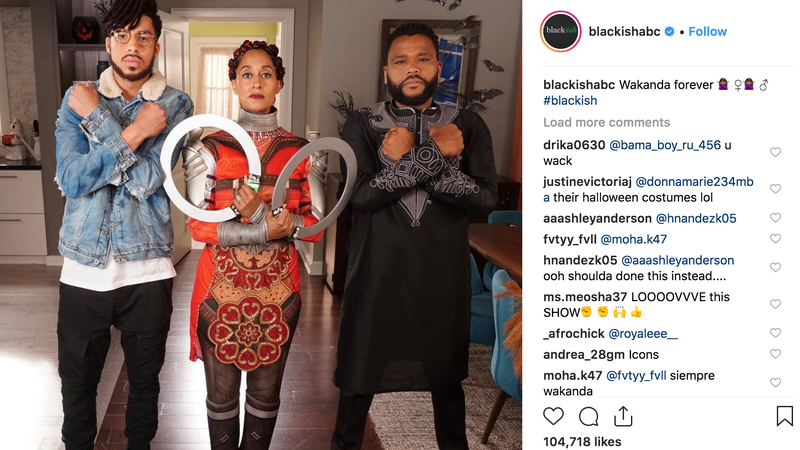 Over the weekend, the rich and famous really brought it in that department—Blackish became Black Panther’s Wakanda, I mean, come on—and now I’m bringing it to you. Here’s our annual celeb Halloween costume roundup. The other guy, dressed as Wolverine, is Ross Butler of 13 Reasons Why fame. He’s also been named a co-conspirator in a lawsuit which alleges Courtney Love plotted to have her daughter’s ex-husband killed over an old Kurt Cobain guitar. So, I guess he’s famous for that, too.